This is an excellent piece of work. The plot is complex and could easily have slipped away without first class research and a clear, economic style of writing. This book started out as a novelette, then became a screenplay to finally achieve objective existence as a novel. It proves itself worthy of all the effort involved. It does need to be read slowly so that it can be fully savoured otherwise the reader just won’t get it. Alicia Baum, a writer of horror and fantasy, is so depressed she sets out to commit suicide only to find her consciousness alive in a dusty, gas lit library with towering bookcases. This is a common archetype for stressed out bibliophiles but Alexander has given it a spin as the Librarian is a badly singed Mr Wicker along with his two assistants the ravens, Huginn and Muninn lent to him by a certain Odin of Valhalla. This is the Library of Lost Childhood Memories. Alicia’s problem is that she is controlled by her missing memories, whereas Mr Wicker’s problem is that he is tired of being the keeper of such memories. He suggests she gives him her skin so that he can escape. She refuses, so Mr Wicker dials the emergency number ensuring that the dying Alicia is rescued and given an opportunity for recovery. As an attempted suicide Alicia is sectioned in a mental hospital for assessment. This portion of the story is more than imagined. Alexander has done her research so it has the sense of experience about it. 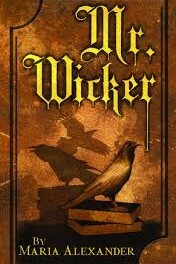 Alicia’s psychiatrist is a Dr Farron, a researcher into lost childhood memories, already puzzled by the appearance of a Mr Wicker in the recollections of troubled children. Hospital routines are clearly described along with the talent of mental health staff and some inmates in perceiving the personality defects in both their colleagues and fellow patients. This makes for fun reading. Then all of a sudden the reader is deposited in the first book of `De Bello Gallico’ as written by a certain Julius Caesar. Suddenly all those dreadful teenage memories of Latin lessons were dredged up in the mind of this reviewer, taught as they were by a sarcastic pedant who hated all children, particularly teenage boys. 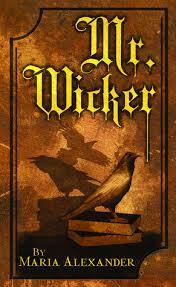 Mr Wicker, indeed! This change of scene is not sudden as there are warnings hinted earlier in the script, but the contrast is like giving the reader an icy bath. What is going on? So we apply ourselves to the adventures, not of Alicia but of Drunos, a recently qualified Druid, just graduated from Britain who has returned home to his people, the Helvetii who are about to migrate from their homelands into another part of Gaul. Such sudden transitions in a plot can confuse and frustrate the reader. The best option in a novel is to try and prevent such a necessity as it can disturb and distract attention. By now, however, we have confidence in Alexander as a capable and stylish story-teller. You hang on in there for a competent insight into an early period of European history when Roman Provincia and southern Germania are developing as satellites of Roman culture out of a traditional Celtic society of clans, tribes and tanistry. This portion of the tale, with a very well researched background reflecting current understanding of the period, illustrates the clash between tradition and a coming modernity that in turn had contributed over time to the tribulations of Mr Wicker, Alicia Baum and Dr Farron. We then return to the library where the identity of Drunos becomes clearer and the story of Alicia is reborn. Reborn? Resurrected? Or reincarnated? It would be unfair to explain the remainder of this story as the reader can go out and buy it if they dare. This tale embodies the supernatural, psychology, psychiatry, archetypes and how we look at the world and understand it. Try it as a cultural challenge! It might disturb and perhaps trouble the reader. Yet it remains a good meaty tale that encourages people to think. What more could you want?